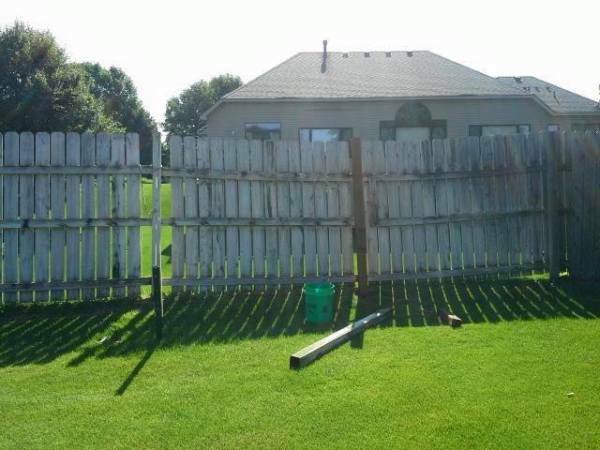 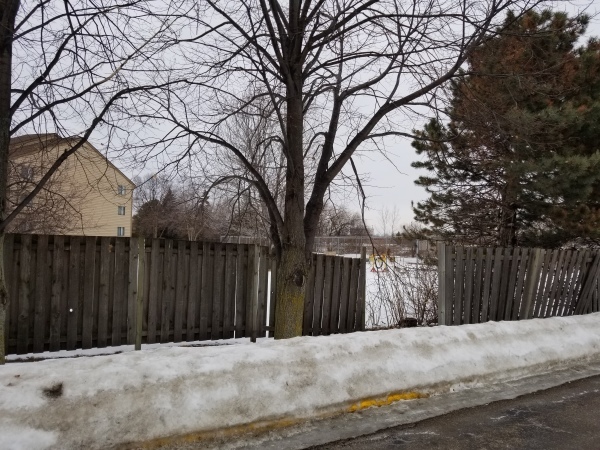 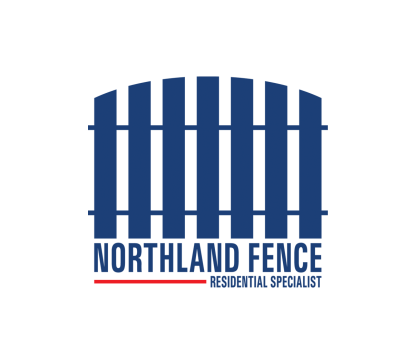 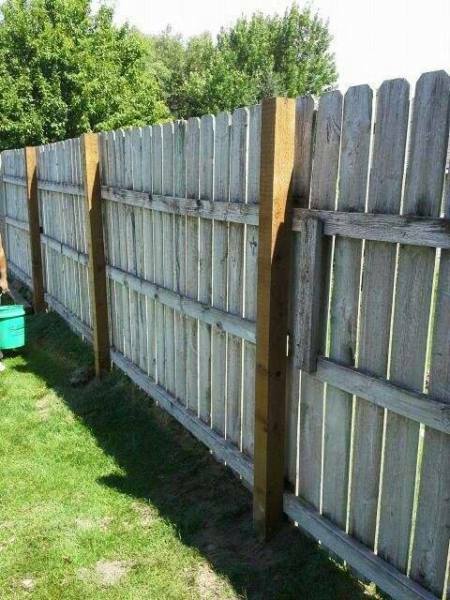 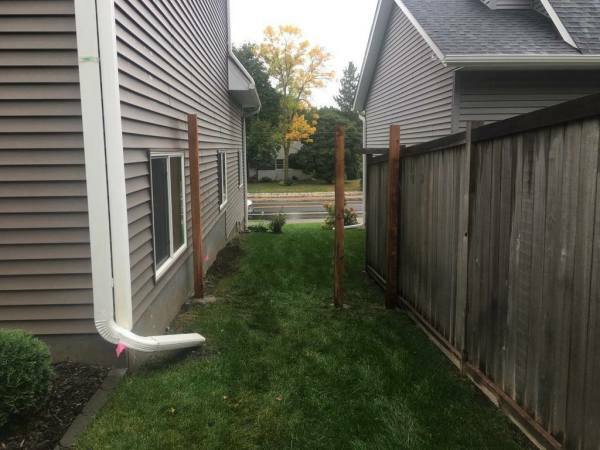 Do you really want to buy a fence where the post will eventually need to be replaced? 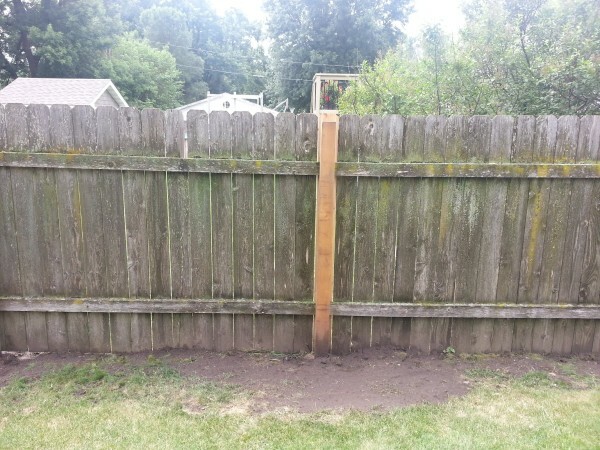 Cedar fence post replacement typically costs between $300-$400 per post. 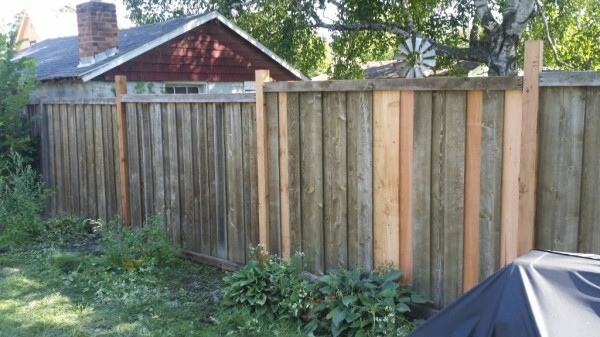 Cedar fence boards will shrink, rot, warp and they all will turn grey after one year of installation. 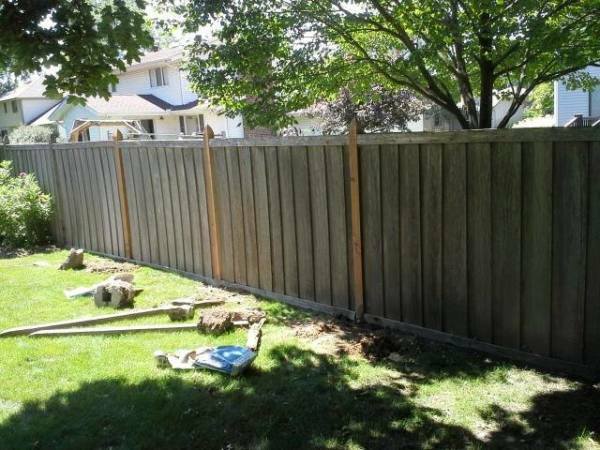 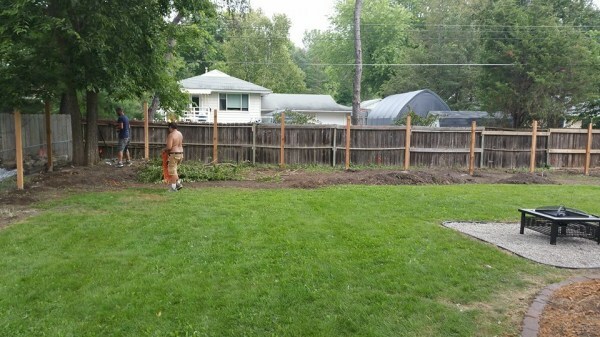 New cedar fence posts require dirt removal our vinyl fence installs the posts are driven. 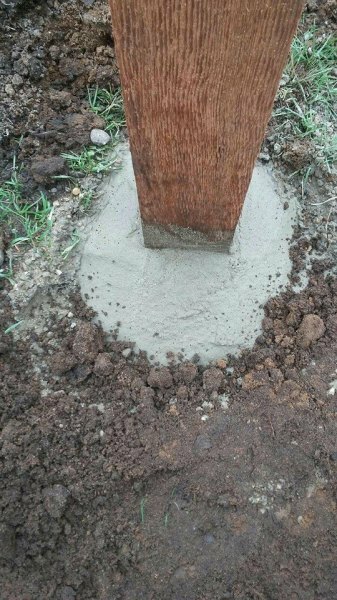 What a cement footing looks like our way you don't see the footing. 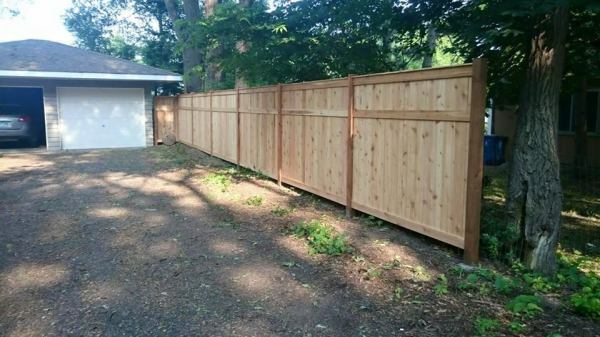 A cedar fence always starts with a glowing color but in a year it will look like another old fence. 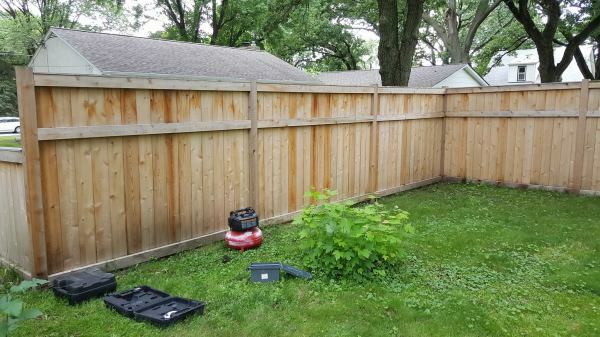 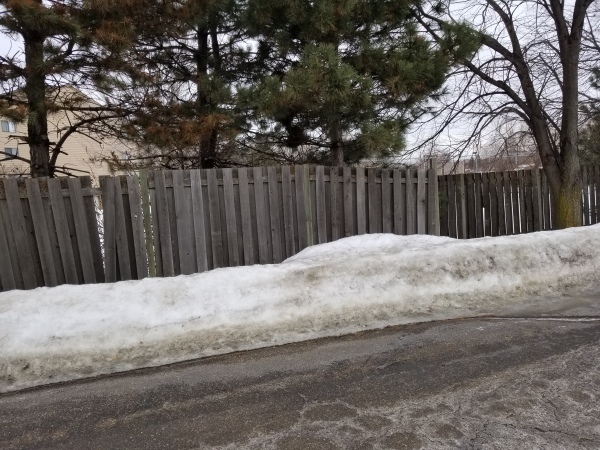 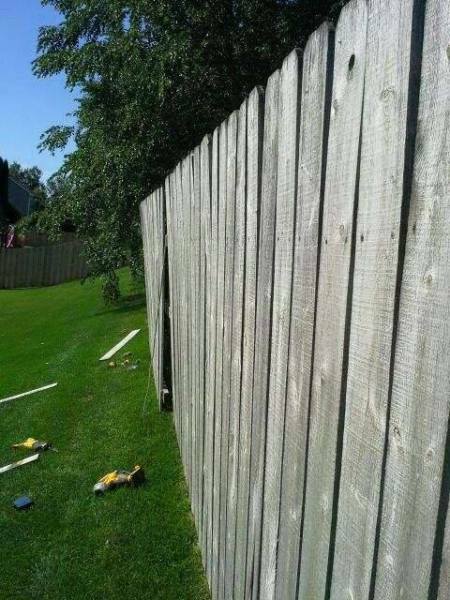 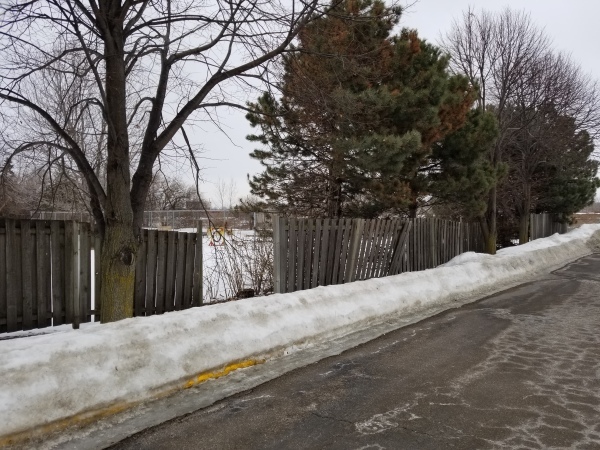 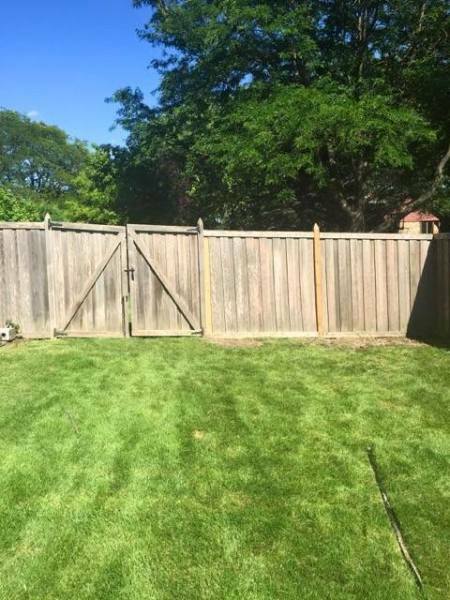 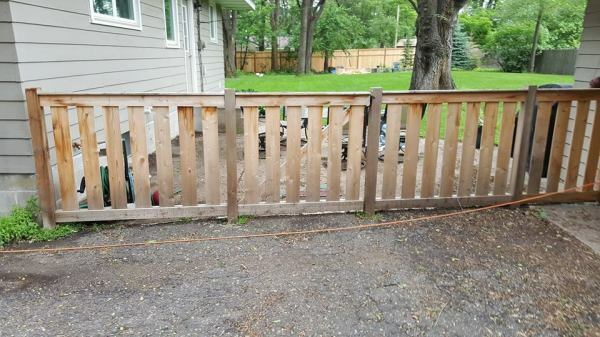 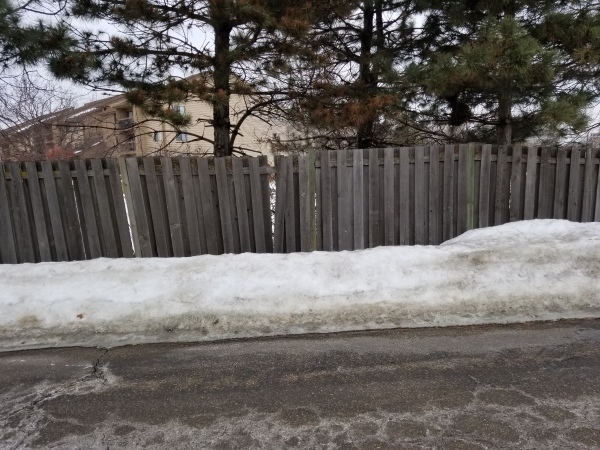 There is the option of painting it or staining it but do you really want to invest more money into a fence other then the original price of the fence? 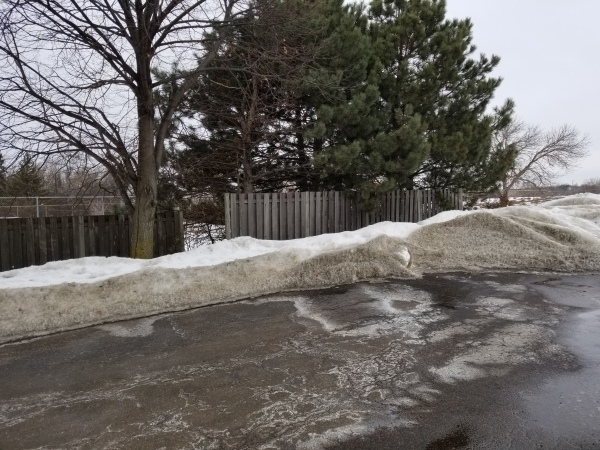 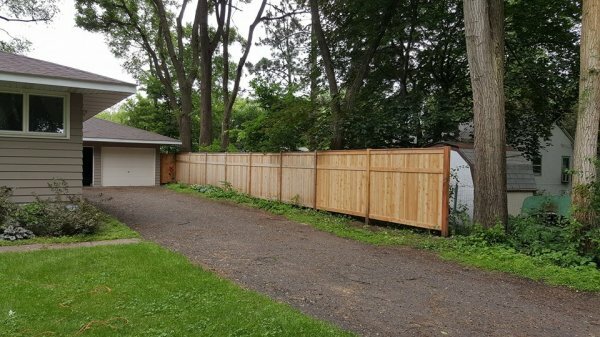 In the end it cedar fences just have a major problem and it's Minnesota's winters. 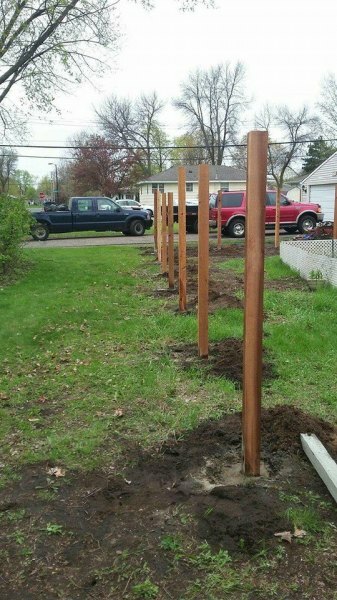 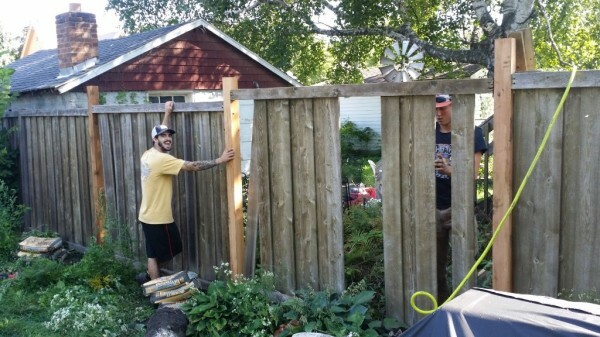 Cedar fence posts will rot, concrete footings will crack and fail and eventually heave. 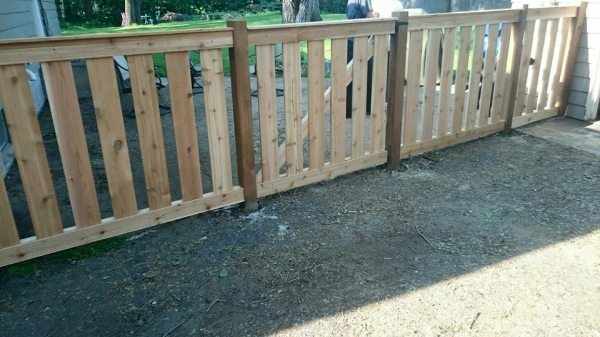 As for cedar fence boards from clear grade to #2 grade they'll all will shrink in size and can potentially warp as they dry out. 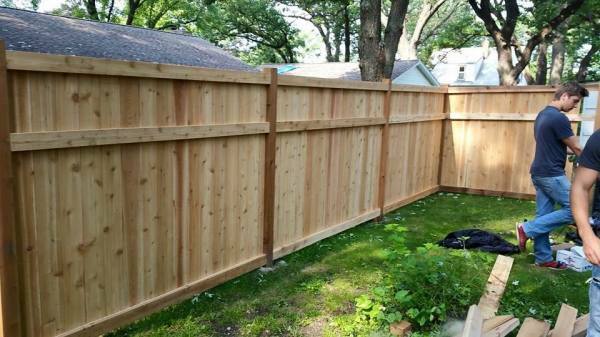 Another issue is the cedar lumber used for fence companies is select grade which comes with many imperfections such as cracks and knots.